Area 1.744 m² o 18.772 sq ft. This property is located in Playas del Coco, just five minutes from the beach. 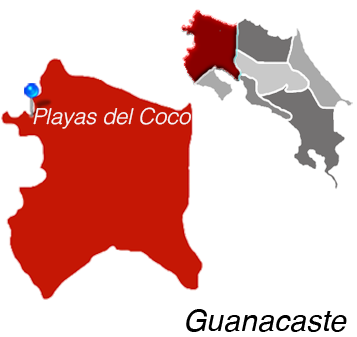 It is located exactly two hundred meters from the entrance of the Coco boulevard, entrance on the left, one hundred meters from the main street, where it also has entrance through the front of High school of Playas del Coco. This property for its location is a great opportunity for a mixed development, that is, both commercial and residential, so it can be developed from a personalized home, to apartments or commercial premises such as stores. The property is flat topography. It has availability of all public services, in addition to having all the amenities offered by the area, such as restaurants, supermarkets, entertainment centers, shops, pharmacies and others.